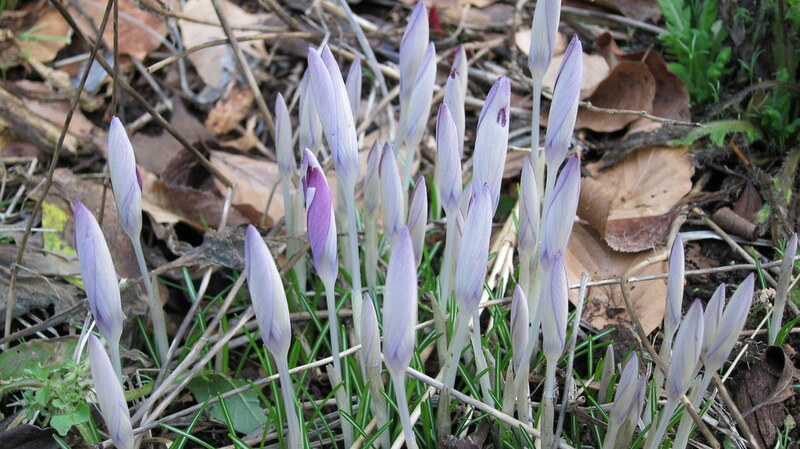 Crocus tommasinianus over the course of about a week. I don’t remember having planted this many, so maybe they are naturalizing. That would be nice, especially if I would remember to divide and move them around a bit for even greater enjoyment next spring. Pink has never been my favorite color, in fact it is pretty much at the bottom of my list, but somehow it seems to have worked its way into my life despite my protestations. My daughter discovered it in preschool, it was like a social virus running from one girl to the next. Now, thankfully, she seems to be moving on to other colors, but in the meantime she still has pink clothes that fit and I’m not going to just toss them out because purple is the new pink. In the garden, I love the soft whitish-pink of cherry blossoms, although my current garden does not have any. 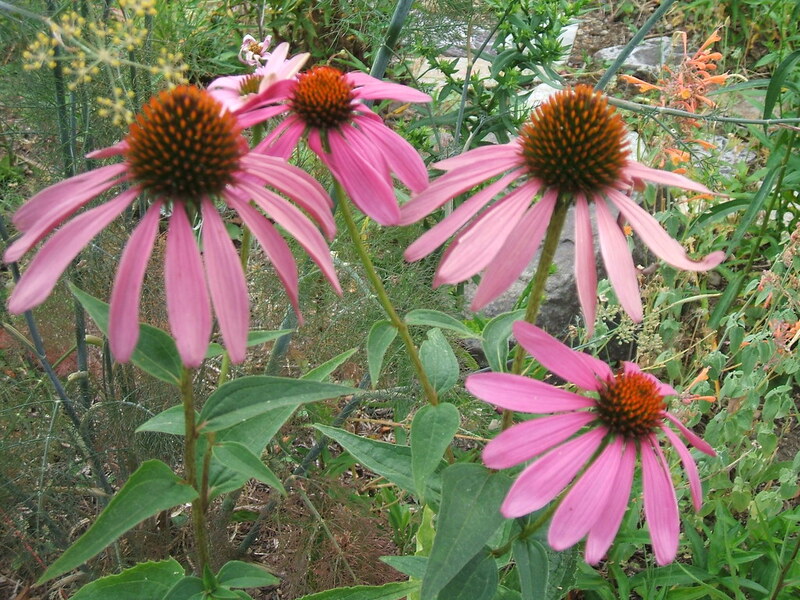 My mom gave me a ton of echinacea, which goes by Purple Coneflower but the purple has always looked more pink to me. Or maybe you could use the term “pinky-purple,” which my 2 yr. old niece taught me recently when she was visiting. 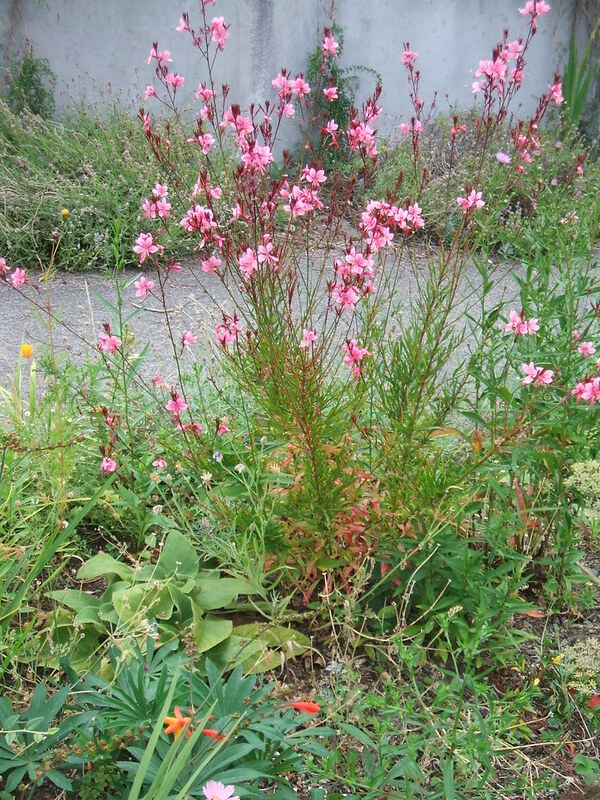 Although the pink of this Gaura is a little on the Pepto-Bismol side for my taste, it has bloomed its head off for months with almost no supplemental water and zero fertilizer in crummy parking strip soil, despite being a new addition in the spring. Its full name is Gaura lindheimeri ‘Passionate Rainbow’ and the purple leaves that it started out with have not been quite as apparent as I had hoped. 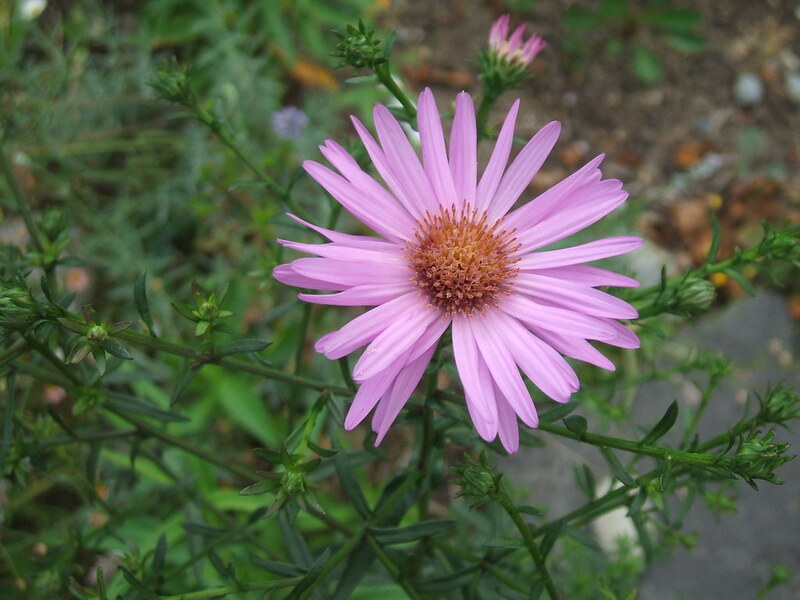 Every year, I say I will be more ruthless about ripping out the tall aster seedlings that reseed with wild abandon, but then I’m glad of them when summer begins its freefall into September and many of the other blooming plants start to give up. 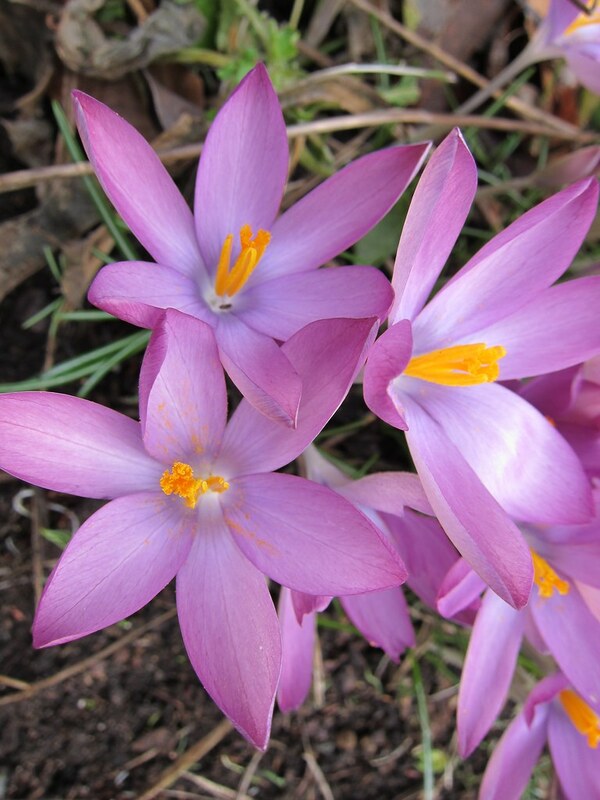 This is another pinky-purple one, and this blossom was the first to open of the many that will linger well into the fall. 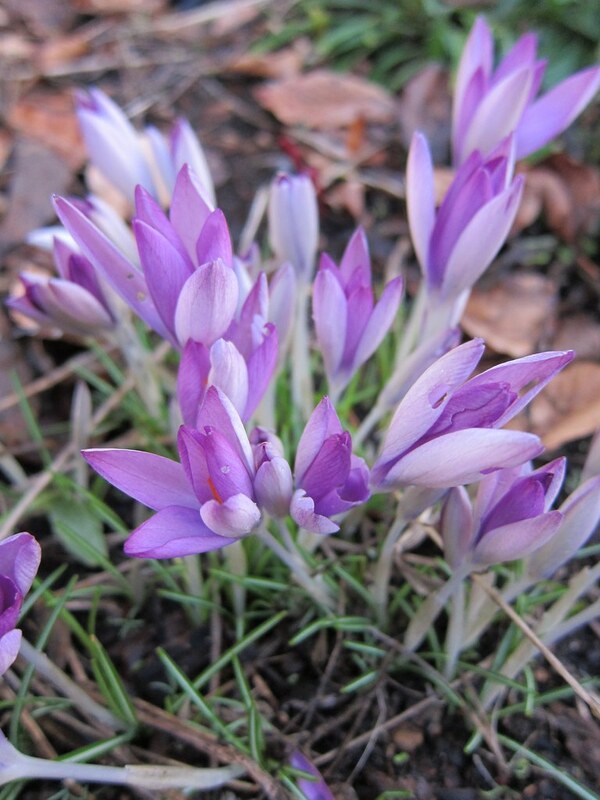 Are there any colors that have crept into your garden (and your heart) despite initial resistance? Every year at the Seattle Tilth Edible Plant Sale, I buy some unfamiliar (to me) herbs and other edibles. 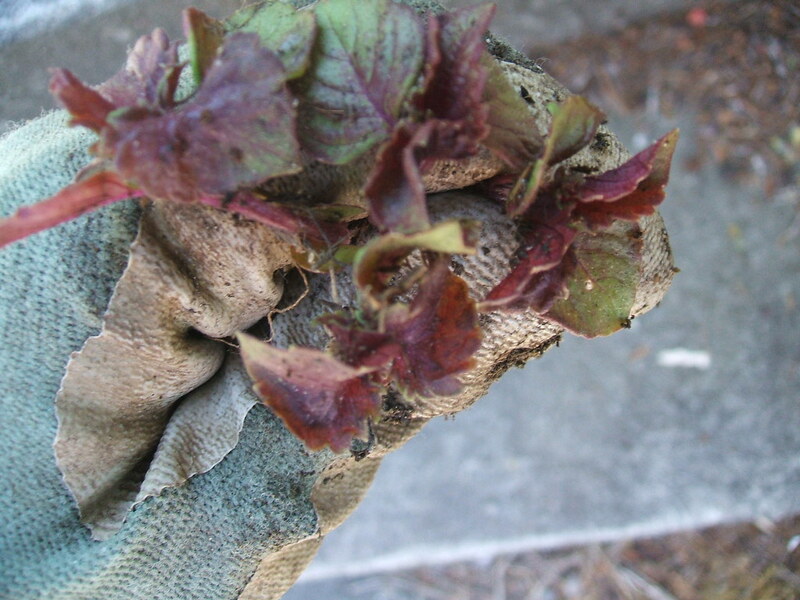 Last year, one was shiso, which is used mainly in Japanese cooking and also has medicinal uses. One source I found said that it’s often served with raw fish (i.e. sushi) because it can help prevent food poisoning. I can’t even remember if I actually ate any of the leaves, but I really enjoyed the plant. 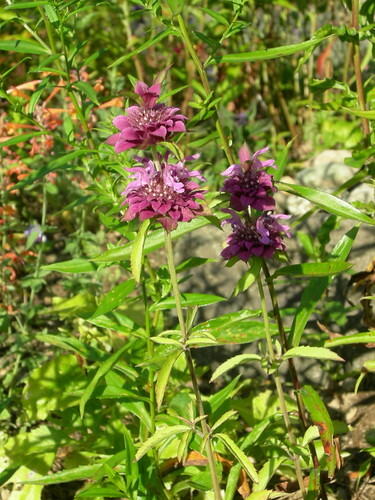 It grew without any care in my hot, dry parking strip garden, had lovely variegated purple leaves all summer long, and then the seed pods were interesting and stuck around for most of the winter. So, since it’s an annual (and a member of the mint family), I decided to buy another plant this year at the sale. It took me a while to get it into the ground, but I put it in my daughter’s veggie patch since I thought she might enjoy having a purple plant (her new favorite color, thank god the pink phase finally seems to be ending!) that is also fine to pick a leaf off and nibble on. Here it is, watered in but dirt not covering it up yet. Hot sunny day, terrible transplanting weather of course. Oh, um, yes, that would be they. Now I know! 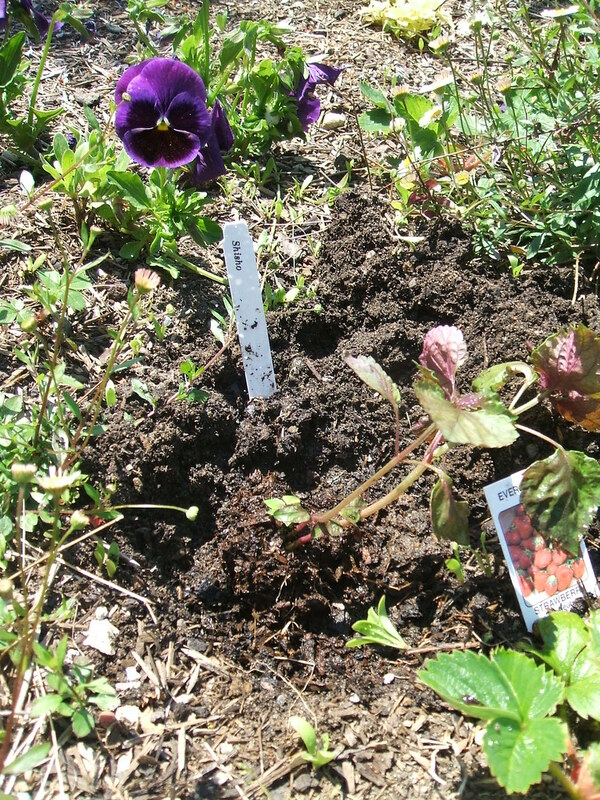 If you have as shiso plant, at least in my climate (Zone 8), you never need to buy another plant – you will have seeds and seedlings forever! Enough to spread around the garden if you wish, or give away or pull up if not. Lesson learned. Other names for shiso are Perilla, Kemangi. and Beefsteak Leaf. Click here for a yummy-sounding recipe for edamame (soy beans) with shiso and Meyer lemon vinaigrette. This member of the mint family has a strong, distinctive scent and flavor that has been used medicinally by Native American peoples and herbalists. For recipes, click here. You can also harvest young leaves and use them as you would basil, in egg dishes and salads.